Use these dense pressed powder eye shadows to give a splash of color anywhere that is needed. 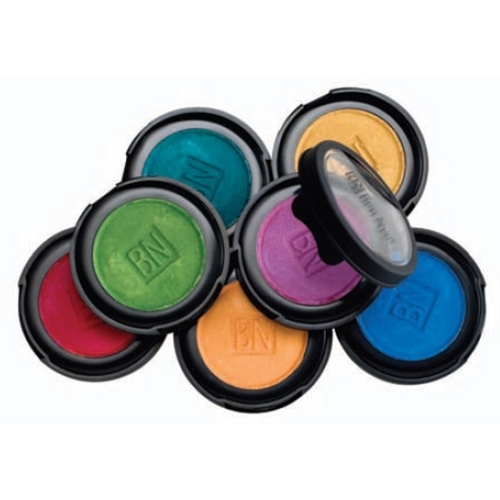 Ben Nye's highly pigmented colors are perfect for film, TV, theater, or everyday use. Celebrating their 50 year anniversary, Ben Nye has earned the respect of artists who simply want the best in make-up. Ben Nye Makeup is a family owned company dedicated to serving makeup professionals throughout the world. Nearly all of their cosmetics are manufactured in Los Angeles.